This sweet cat was rescued along with a bunc of other cats were in terrible condition due to a cat hoarder situation as we know – luckily this sweet kitty was safe, but she wasn’t very friendly at first. After helping her socialize a little more, she was ready for adoption, but when she arrived at the adioption center someone fell in love with her. Lary went to pick her up and she instantly put her arms around him. This sweet kitty melted Lary’s heart and he melted hers also… Watch this story below! 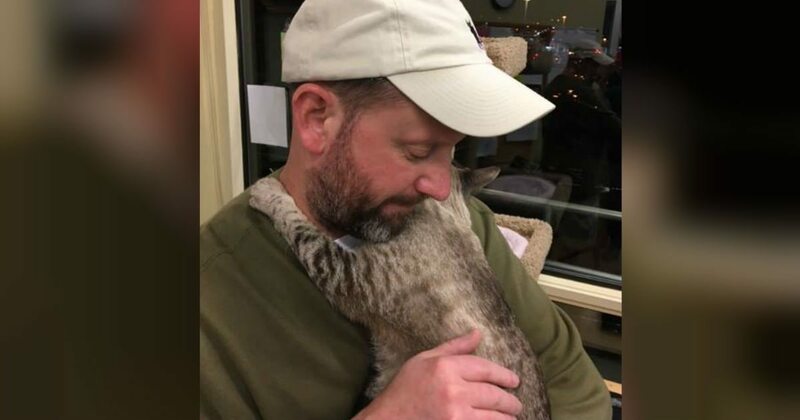 When the love of a cat touches your heart, you never go back—This is so wonderful, it’s enough to bring tears to my eyes.